There is nothing more exciting than doing your Christmas Shopping at a Christmas Market followed by time spent Ice-Skating. 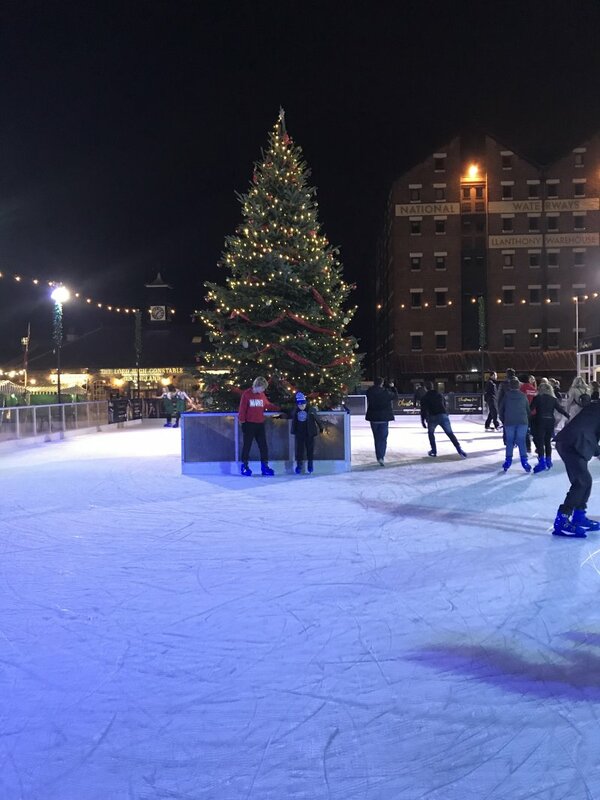 Now at Gloucester Quays you can do just that with the Victorian Christmas Market open from 16th-26th November 2017 and the Enchanted Christmas Market from 27th November to Christmas Eve; with the Ice Rink open from 16th November to the 2nd January 2018. The Enchanted Market features decorated stalls, a traditional Ferris Wheel, street entertainment, family activities, live choirs and brass bands, roast chestnuts and ale tavern – next to the historical Quays. 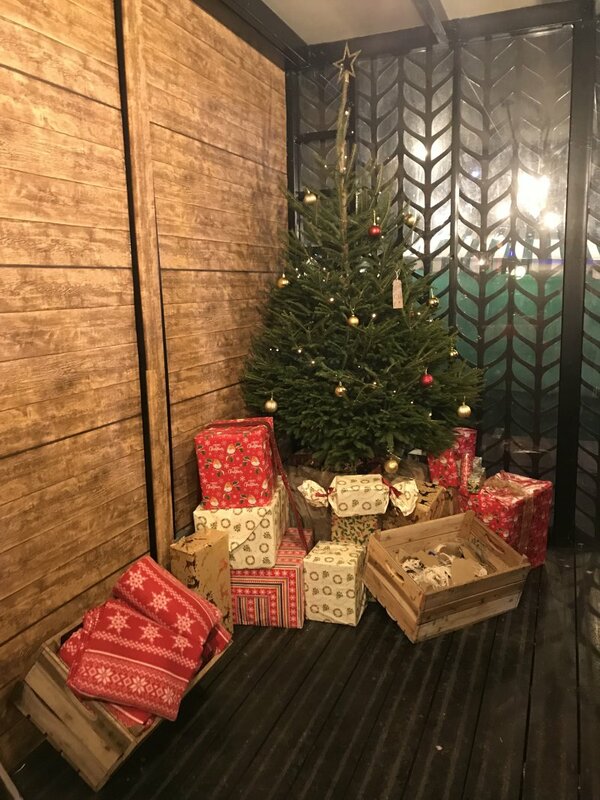 A time for shopping and catching up with friends with a seasonal drink or festive bite; or even a chance to get festive with the family. The ice rink at Gloucester Quays is limited in numbers so booking is advised to ensure availability. 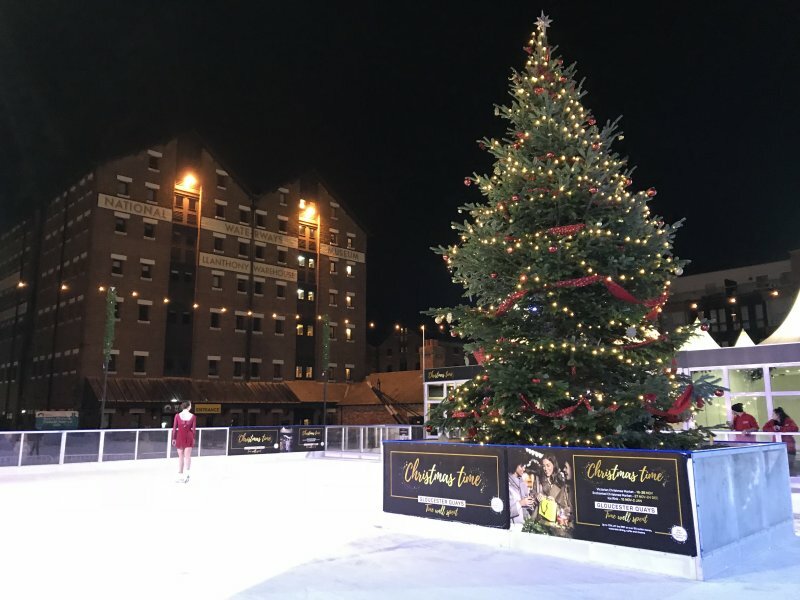 Situated right next to the docks and the market this open air rink has a splendid Christmas tree in the centre, creating the perfect atmosphere. 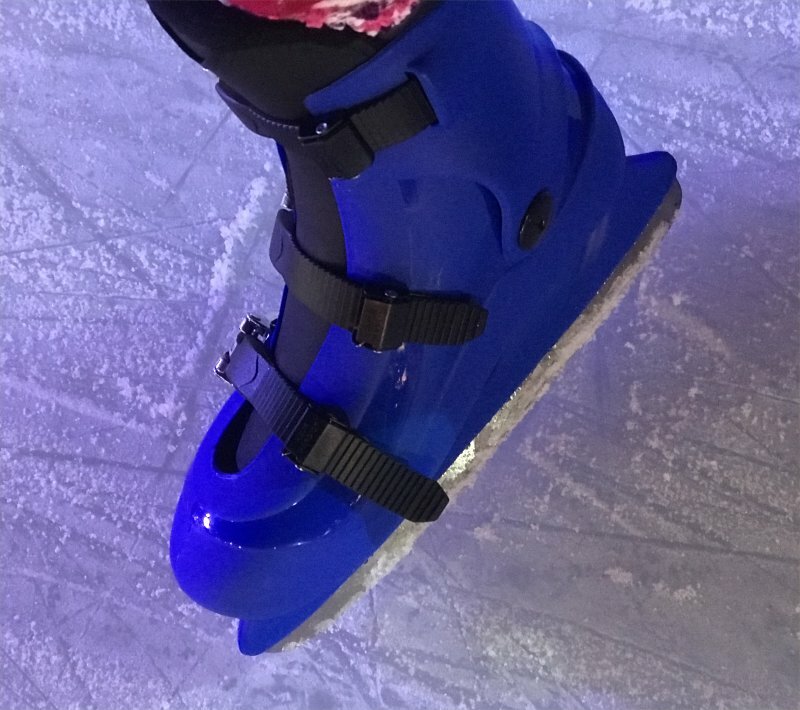 We went along last night and had a wonderful experience: from the ease of getting into our skates, getting onto the ice and the advice on how to skate, plus help when falling over (and more advice on how to get up). With safety in mind there was also a team ready for any accidents! With the tree in the middle it meant that there was something to hold on to there, as well as around the edge. Plus, for children, there are skating aids (pre-book at £3 each – only available with child and junior tickets). Student/Concession (present ID at the Box Office) from £6.50 to £7.50. Make sure that ice-skates fit (are comfortable but offer great support) and are properly fastened. Skate in an anti-clockwise direction. Obey instructions given by the ice marshals. Skate at a moderate speed. The safety barrier is not to be sat on or climbed over. Chip, spray or throw the ice. Eat, drink or smoke on the ice. Carry children on the ice. Skate in chains of more than three people. Oh, this looks lovely! I haven’t been to Gloucester Docks for years, I think we’ll come and see the Christmas market, the girls keep asking to go ice skating.